Premium domain names are domain names that offer high marketability for your business or personal project. They often contain certain keywords, or other terms, that make them especially recognizable and memorable compared to other domains. Premium domain names have usually expired recently and are therefore available for you to register and take full advantage of their high marketing value. What sets a premium domain apart? Due to the large number of websites on the internet, it's not always easy to secure the most attractive domain for your project. Fortunately, when a high value domain expires it becomes available for re-registration, which is known as a premium domain. However, not all expired domains automatically become premium – an expired domain is simply one that has been previously used but not re-registered by the original domain owner. Premium names, on the other hand, are those that have retained their high marketing value to you as a business or individual. Premium domain names differ from ordinary ones because they often contain important keywords, are short and snappy, and have a proven track record of driving web traffic. For example, 'bestcars.com', 'discountgas.com', and 'luxuryholidays.com' are all memorable and clearly display the purpose of the site. Because of these qualities, they are highly sought after and can also be identified by their relatively high price compared to other domains. 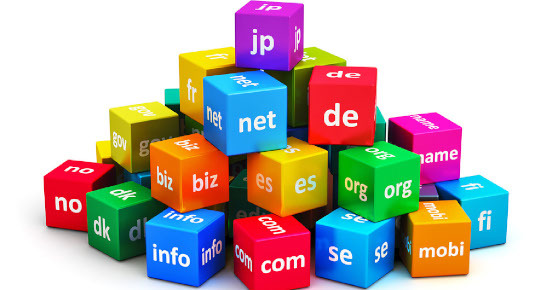 What makes premium domain names valuable? Domain names can be valuable for several reasons – premium domain names especially so. First, because they are so memorable, a premium domain is more likely to encourage users to return to your site – they're much more likely to remember 'bestcars.com' after one visit than 'carsatreallygoodvalue.com', for example. What's more, they also generate more traffic and improve your search engine ranking. Google prefers clear and concise domains, which are also more likely to be searched for and receive higher levels of traffic. Therefore, a premium domain will help you to achieve more SEO authority and ascend the search engine results pages (SERPs). These advantages bring you numerically measurable improvements to your website and enterprise. If that isn't enough, premium domain names also assist in strengthening your brand image as an expert in your field. Both internet users and Google alike will tend to assign more credibility to premium domain names that feature topically relevant keywords. The same can be said of location-based keywords: a Los Angeles resident who searches for 'fitness programs' is more likely to be drawn to a domain name with 'LA' in it, like 'lafitness.com'. Due to the above benefits, premium domains tend to be more expensive than others. However, the exact cost can vary depending on its popularity, strength of branding and SEO potential. Therefore it's possible to buy a premium domain for anything from a hundred dollars, to as much as thousands of dollars. A good rule of thumb to follow is that the more expensive a domain is, the more value it can bring to your business. Domain registration with 1&1 IONOS couldn't be easier. Simply enter your desired name into the domain search box, and you'll be provided with a list of domain names for sale. If your choice is not available, we offer a selection of viable alternatives to choose from. Once you've settled on a premium domain, you're all set to create your ideal website. Why should I buy a premium domain? Buying a premium domain is an investment; like any other sort of investment, the initial cost can be high, but the rewards make it more than worth it. They offer your website greater potential to rank highly on search engines and they strengthen your online branding. With a premium domain from 1&1 IONOS, you have the opportunity to distinguish yourself from the competition and establish your brand as trusted and authoritative. By now, many of the best domain names have already been snapped up, which sometimes means that you have to settle for a less powerful option. Within this competitive market, premium domain names give you the chance to secure a valuable domain that give you an edge over your competition. Because they are easy to remember, contain popular keywords, and are SEO-friendly, a premium domain provides the ideal platform to build a strong online brand that attracts high levels of traffic. If you're a business, having a short and snappy domain name can mean the difference between a consumer finding you online before a competitor, rather than the other way around. How do I register a premium domain with 1&1 IONOS? At 1&1 IONOS we offer a wide variety of premium domains for sale to take your web presence to the next level. Enter your desired web address into the search field to see if it's still available and if so, how much it costs to register. We also provide you with a list of possible alternative combinations of premium names, as well as the most popular top-level domains (TLD) such as .com, .org, .blog, and many more. When you buy a premium domain, it's wise to consider registering more than one domain; by doing so, you can protect your brand and increase your online visibility even further. What can I do if the premium domain I want isn't available? In case your desired domain is not available, there are still options to you to ensure you can equip your website with a valuable premium domain. For one thing, our domain name search tool provides you with alternative domains you may not have considered. Another good option is to buy the domain from the current owner, who may be willing to sell it to you for a reasonable price. Bear in mind that if the domain name is already taken, it doesn't necessarily mean it's in use – some people, known as domain traders, buy attractive web addresses in order to sell them as premium domain names. In order to track down the owner, look up the domain using the free WHOIS database, which contains the registry details of every web address on the internet. Then, estimate the market potential of the domain in terms of brand appeal and SEO status. You can achieve this using a variety of SEO tools, such as Searchmetrics and Ahrefs. Factors such as whether it ranks for relevant keywords and the quality of its backlink profile will increase the value of a premium domain. With this in mind, negotiating a purchase price with the owner will be much smoother. For more details, see our Digital Guide article on how to buy your domain directly from the owner.